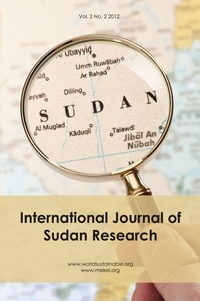 Purpose: The aim of this research is to assess the irrigation water management performance of two irrigation schemes administrations in the River Nile State (RNS) of Sudan based on two different options of irrigation system which are mandatory from the River Nile by pumps. Methodology: The analysis was based on structured survey questionnaires, field observations and literature from Elzeidab scheme where surface irrigation is prevalent and Bashaier scheme where sprinkler irrigation is existed as a modern system. Integrated techniques involving economic and hydrologic components are used to assess irrigation water use in both schemes under study. A Descriptive statistics and quantile analysis for crop water applied and crop water requirements for Elzeidab and Bashier field crops are presented. Findings: The results suggest that vast irrigation water devoted for agricultural production in the State coupled with low production will need attention on water management, allocation, quantities and introduction of water saving technologies. Water management in Elzeidab scheme is not well qualified to handle irrigation water. Implications: The paper unveiled that, to improve the water management performance in RNS institutional support is needed to ease irrigation water management. Value: The State tenants should therefore be guided on how to optimally use irrigation water and be encouraged to grow cash and food crops as a significant contribution to farm sustainability and malnutrition alleviation in the State.